I read a story today on MSNBC online about a man in Texas who vandalized Pablo Picasso's painting, Woman in Red Armchair. You can watch the video and see the original article by clicking here. Now for those of you who are immediately appalled and disgusted by this senseless act, I'll give you the positive news upfront: the painting was immediately taken to restoration and the prognosis is excellent that the experts will be able to save and restore the painting. Apparently the man, who identified himself to a bystander as an "up and coming artist", stated that he defiled the painting to honor Picasso. Now I can only speculate as what was going through this guy's mind when he decided to pick up his stencils and spray paint and headed out to the Texas museum, but if I was to venture guess, I would say that the stunt was to get himself noticed. I don't now that for sure, but it whether or not my theory proves to be true, it got me thinking nonetheless about the desperation, artists, whether they be painters, writers, sculptors, or musicians, feel when trying to be discovered. With the introduction of the internet and sites like Facebook and Twitter there are certainly avenues to to try and reach an audience, but often these sites are like trying to get someone's attention by whispering across a very crowded room. And oh, by the way, there are thousands of other artists in that same room trying to do exactly the same thing. With few exceptions, those artists who are considered successful have still found a guide of some sort who has access to a megaphone, be it the megaphone of a major record label, a top five publishing house or a well known museum. How these artists got the attention of these megaphone wielding entities is so varied it borders on mysterious. Luck, right place right time, who you know, news attention, publicized tragedy or scandal, American Idol. The list is so long and suspect there is no pattern or formula that can possibly be derived to help out those artist trying to find an audience for their hardwork. Which leads us back to the yayhoo that vandalized the Picasso. His stunt was will no doubt gain him some notoriety, after he serves up to two years in jail for his crime, but with any luck it won't translate into any success. 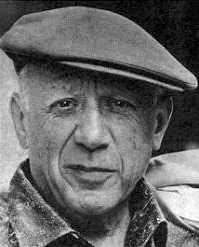 Picasso's road to fame was long, filled with a great deal of study and hard work, involving himself with other artists in the Montmartre Quarter in Paris, working with galleries and being incredibly talented. You want to honor Picasso, study his work, try to follow in his footsteps and create art with passion and creativity. Don't use his fame to propel yourself into a fifteen minute spotlight. Don't ruin a priceless painting and insult what might have been your future audience by calling it honoring the artist. The starving artist is a catchphrase that has been around since at least the 1800's, and despite the romanticism behind the phase, it's not easy. 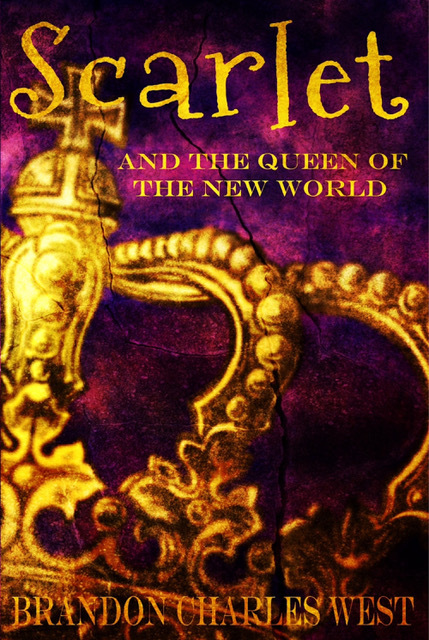 I would love to only write books and live like a king, but life doesn't always work out that way. I'm not going to stop trying, nor am I going to defile Edgar Allan Poe's Tamerlane and Other Poem's (one of the rarest books in the world) by scribbling one of my poems in the margins so that I can get some attention in the news. Instead, I work hard to create interesting and imaginative books, market them the best I can, am thankful for the readers and fans I have, and I go to work (I'm a firefighter if you skipped my bio) to provide for my family.